For those of you who are not familiar with a company called Caviar, this is basically a famous company launching a mobile phone or a special smartphone. But not just any special phone, because to have a special phone from caviar must prepare a thick wallet, a high ego, and like unusual designs. In fact, this company has also made luxury and expensive versions of popular devices such as Trump-Putin Nokia 3310 and now they play with the iPhone X. For some people, the original iPhone X variant is an expensive and luxurious smartphone because it takes a dozen million rupiah to bring the smartphone. While Caviar has just announced the iPhone X Imperial Crown, where the smartphone is given a layer of gold and has more than 300 precious stones are etched in the body of this smartphone. 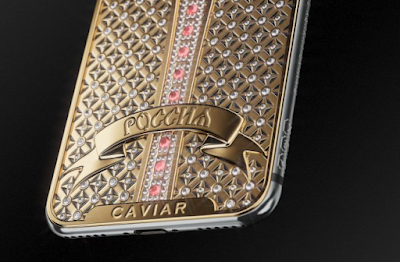 The back of this smartphone is studded with 344 diamonds of different sizes. 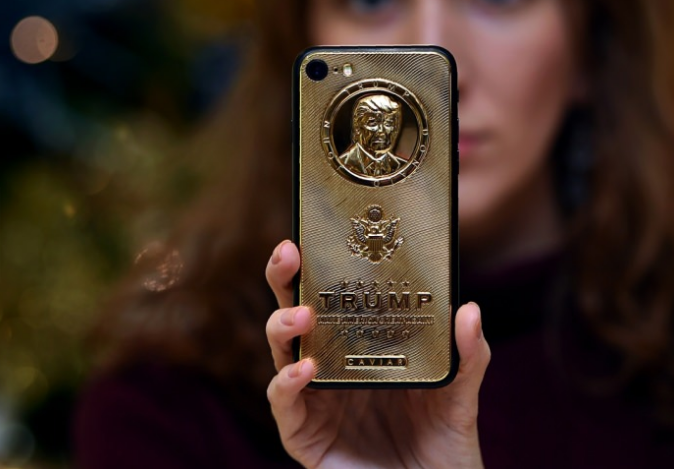 There is also a vertical row of 14 large rubies as well as a gold plaque of two-headed eagles that add to the luxurious impression of this smartphone. This design is in line with other Caviar phones, which carries the concept of luxury. If you talk about luxury smartphone, of course the most thrilling thing is the price of course far rebound from the original price. For those of you who are curious or intend to buy the iPhone X Imperial Crown, 64GB variant of this smartphone is priced at 2.4 million rubles or the equivalent of Rp546 million. The price of this smartphone is too expensive, but of course the market segment is not for the average consumer.